With the long-anticipated release of her book less than a month away, a new postcript has been tacked onto Amanda Knox's Italian saga. Italy's Supreme Court plans to rule on whether prosecutors will have another chance to try her for the 2007 murder of her roommate at the University for Foreigners in Perugia, a British student named Meredith Kercher. 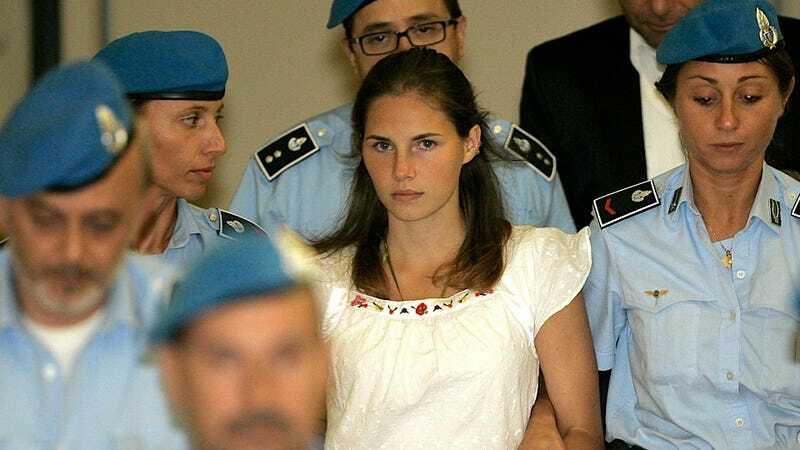 You'll remember that Knox and her Italian boyfriend Raffaele Sollecito were convicted of Kercher's murder during their first trial in 2009. Knox appealed the decision, which, in the Italian justice system, meant that she got essentially a whole new trial, with new witnesses, testimony, etc. She was acquitted of Kercher's murder in 2011, and subsequently returned home to a quiet life of book deals and University of Washington classes in her hometown of Seattle. However, as CBS legal eagle and Crest whitestrips model Jack Ford exuberantly explained to Charlie Rose and Gayle King this morning in a segment that might have been called "The Italian Legal System for Ignorant American Stupids," double jeopardy isn't really a thing in the Italian courts. In the U.S., Knox's 2011 acquittal would mean game over, but prosecutors think their 2009 conviction should stand, and have asked the Italian Supreme Court to give them a third go-round. If the acquittal is overturned, Knox's case will return to appellate court. CNN's report seems to insinuate that Knox, in case her acquittal is overturned, might have to return to Italy. If she refuses to go voluntarily, Italy could appeal to the U.S. for extradition, but Ford seemed to think that extradition was a only very remote possibility.